Since the creation of time our monkey ancestors have written screenplays using the Courier font. The predictable nature of the monospaced font allows for filmmakers to guestimate screen time based on their page count. Screenwriting programs such as Final Draft have created their own respective variation on the Courier font. But wouldn’t it be nice if there were some more options? Though all Couriers are monospaced they don’t all have the same metrics. This means swapping your font out for another can sometimes lead to unexpected changes in your page count. No bueno! So I took a stab at creating a Courier too. I call it Courier For The People. Courier For the People was specifically designed as an alternative to Courier and Courier Final Draft. Meaning you can replace them in programs like Final Draft and see no difference in page count. To help. I know a lot of writers who were searching for alternate fonts. The ones they found fell short in some form or another. Can I use this font for my own nefarious designs? Sure. I don’t care what you do with it. 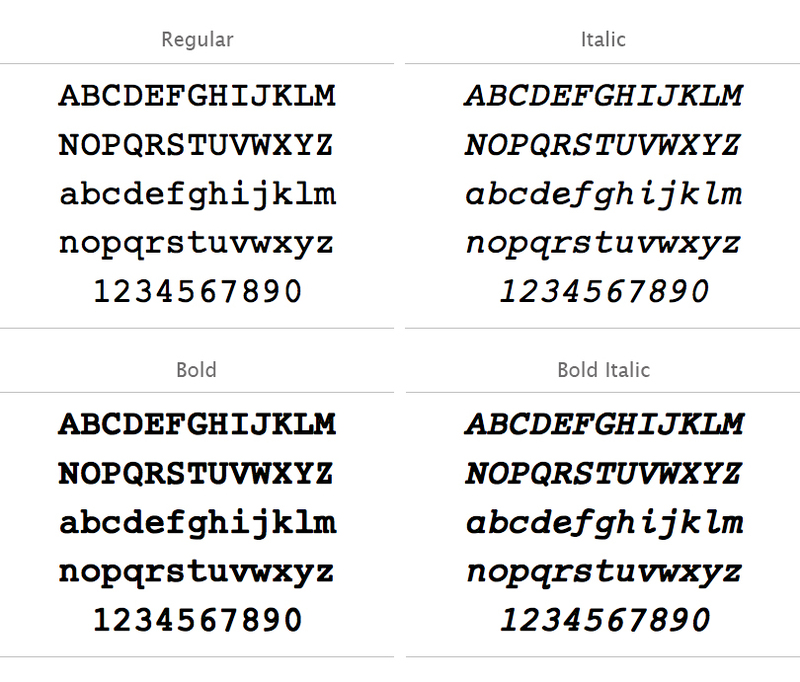 Are you a font designer? No. I mean, I guess I am now. I made one. But it’s not my job. I’ve never tried to make a font before. This is my first. I’m just a writer with curiosity and a computer. How do I swap out my font in Final Draft? I’m using Final Draft on Windows. Any special warnings? This font released under the SIL Open Font License (OFL) license.